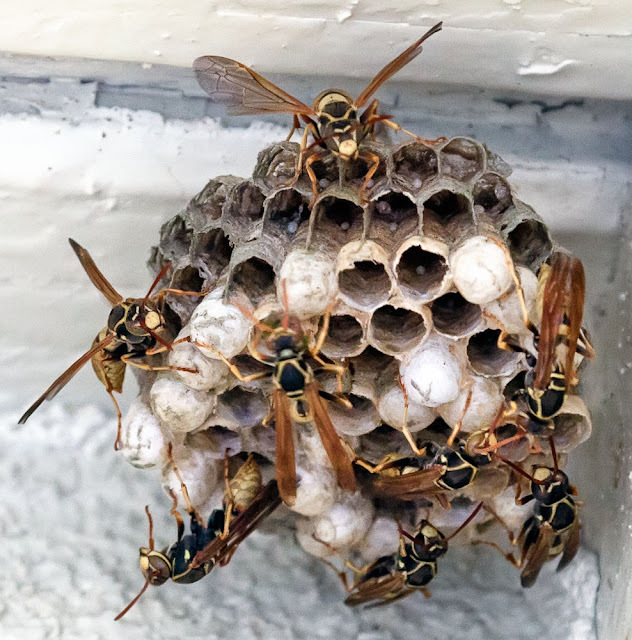 Are these hornets or yellowjackets? I don't know enough about them Keith, but that is a fab macro! Have a good weekend. I got close, but not that close. I used a zoom lens and cropped it a lot.